Google plans to bring its chip hardware to the edge, announcing the Edge Tensor Processing Unit at its Cloud Next conference in San Francisco. Just the quarter of the size of a penny, the new Application-Specific Integrated Circuits (ASICs) are not as powerful as the company’s latest data center specific liquid cooled TPUs, but are expected to reduce the size of workloads that get sent to the cloud. “Edge TPU will bring a brain to your edge devices,” Injong Rhee, Google’s vice president for IoT, said at Next. Previously serving as Samsung’s CTO, Rhee joined the company in February. The new ASICs can only run inference workloads (rather than training workloads) on a low-overhead version of TensorFlow, TensorFlow Lite. 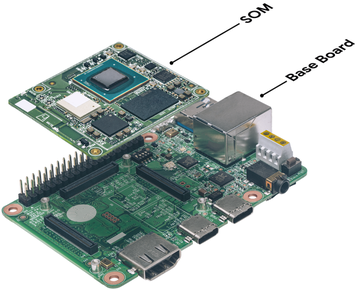 Edge TPUs will be released in October, on a modular reference board consisting of an Edge TPU, a CPU made by NXP, and a Wi-Fi module. Google said it has partnered with manufacturers including Arm, Harting, Hitachi Vantara, Nexcom, Nokia and NXP for the kits. One of the first batches will be deployed at LG production lines, where the new devices will be used to examine the quality of LCD panels’ glass. Rhee told CNBC that the Edge TPUs might be “disruptive for the cloud competition,” as some computation will happen on the device rather than being sent to data centers. Its product, however, is not exactly unique - earlier this year, Microsoft announced Project Brainwave, which brings FPGAs to the edge and has also found customers in the manufacturing space. Other companies offering their own edge computing products include Intel, Nvidia and Xilinx.